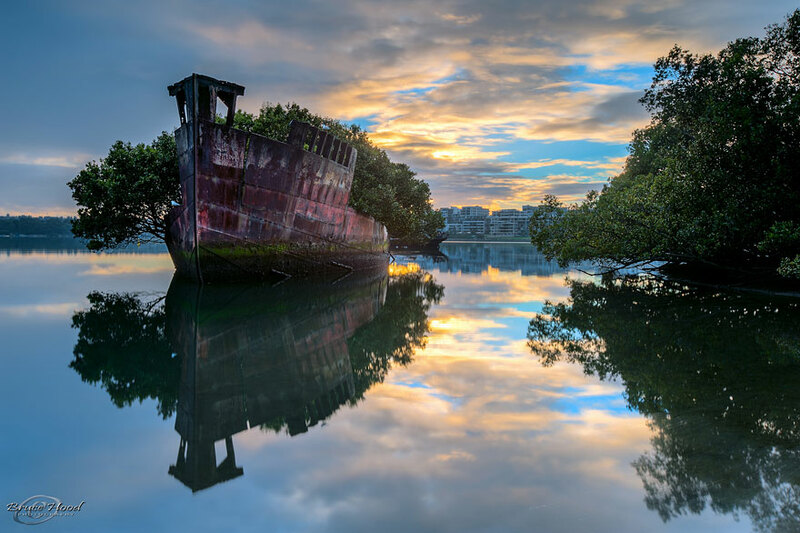 For all those whose heart starts beating faster when they see something old and abandoned, Homebush Bay in Sydney is the place to visit. 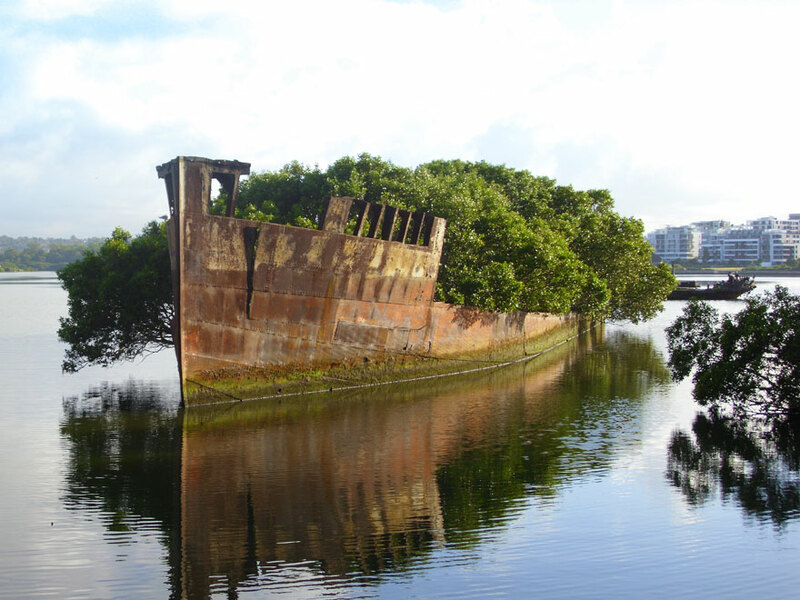 This is were many 20th century ships, which are no longer used, ended up: one of them, the SS Ayrfield, is definitely the most impressive sight for all the lush flora, growing in its rusted hull. 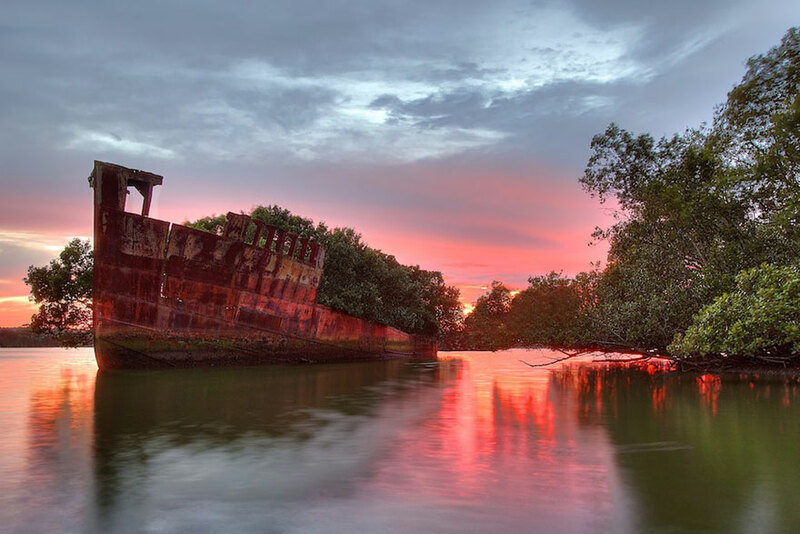 The fully-grown mangrove trees earned this 102-year-old, 1,140-tonne ship the Floating Forest name among the locals. The SS Ayrfield served as a collier on the sixty-miler run between Newcastle and Sydney and would transport the supplies to American troops in the Pacific Ocean. The ship was brought to the Bay back in 1972 to be dismantled, but the operations eventually ceased and the bay no longer served as a ship wrecking yard. The SS Ayrfield, along with many other ships that were used during WW2, were simply left there to decay. 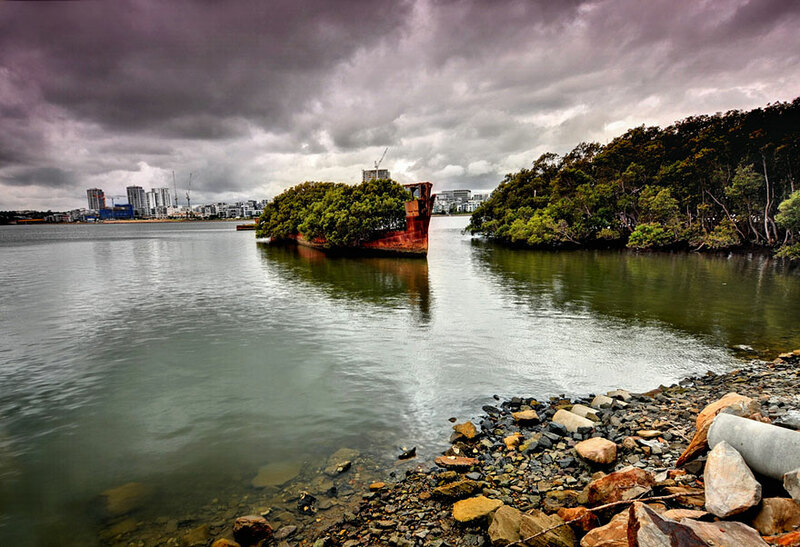 Besides its history for ship-breaking and the spooky ship cemetery, Homebush Bay is home to the Olympic Stadium today as well. 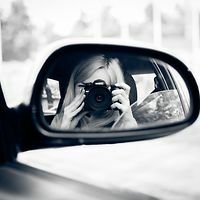 Although there are people, passionate about photographing various abandoned objects, many tourists are drawn to the bay because of the Floating Forest alone. What a sight! see tide marks: not actually floating. Shows man and nature can coexist.